Berry on Dairy: Second Breakfast: An opportunity for dairy foods to be part of the mid-morning mini-meal. The second breakfast, as the name suggests, is a meal consumed after breakfast and before lunch. Some might call it a mid-morning snack, but in the past month I’ve heard the term “second breakfast” used more than a dozen times, as it suggests a heartier snack, something more than simply a stand-alone bar or a smoothie. It’s more of a multi-component mini-meal with some interactivity. The second breakfast is not new. It’s a traditional meal served in Germany, Hungary and Poland. It’s a coffee break, often with pastry, soft pretzel or toast, and cold cuts or sausage, sometimes with cheese or a hard-cooked egg. Sounds a lot like some of the protein snack packs rolling out in today’s marketplace. For those of you who are fans of hobbit-based novels, you may be aware that these fictional creatures of small size with hairy feet like to eat six to seven mini-meals a day, including the second breakfast. It’s time to get creative with this daypart meal and make sure dairy is part of the mix. It’s an excellent opportunity to offer consumers flavor adventure. 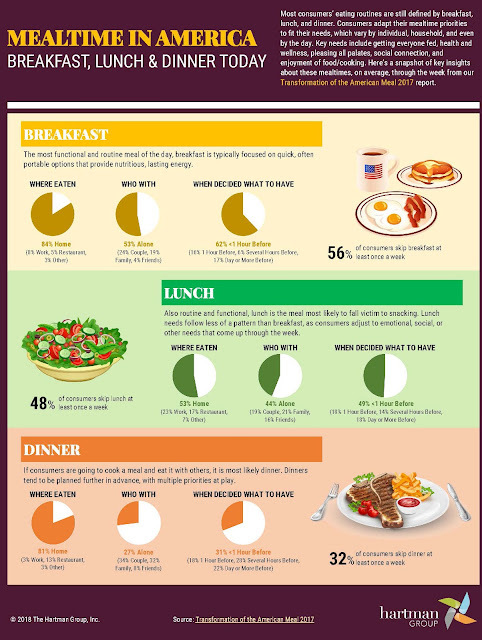 Take note, most consumers’ eating routines are still deﬁned by breakfast, lunch and dinner. Consumers adapt their mealtime priorities to ﬁt their needs, which vary by individual, household and even by the day, according to the “Transformation of the American Meal 2017” report from The Hartman Group. The report explores how traditional notions of the mealtime and meals have evolved and what remains the same. It pinpoints new occasions and opportunities emerging from consumers’ changing habits and needs, and shows what traditions or assumptions about mealtimes no longer hold true. She explains that breakfast is highly functional, driven by habit and the need for morning energy. Lunch often falls victim to snacking. Most are simply eating to get through the afternoon until dinner. Hence, the opportunity for the second breakfast. The time is right to make sure dairy is part of this mini-meal. The term second breakfast appeals to those consumers who might get stressed out about choosing a healthful snack. It gives them permission to eat when they are hungry from around 10:30am to 11:00am. Technomic’s recently released “2018 Snacking Occasion Consumer Trend Report” reveals that not only are views on snacking broadening, but consumers are also more likely now than in 2016 to replace one or two meals per day with snacks. While most consumers eat three meals a day with a few snacks throughout, the gap between eating three meals per day and replacing meals with snacks is narrowing. 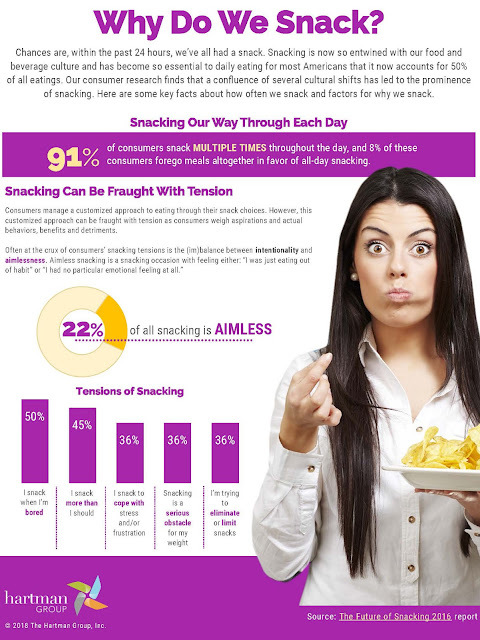 “As busy consumers continue to seek convenience and increasingly replace meals with snacks, look for grab-and-go boxes and heartier snacks…to fill the hunger gap,” says Kelly Weikel, director of consumer insights for Technomic. 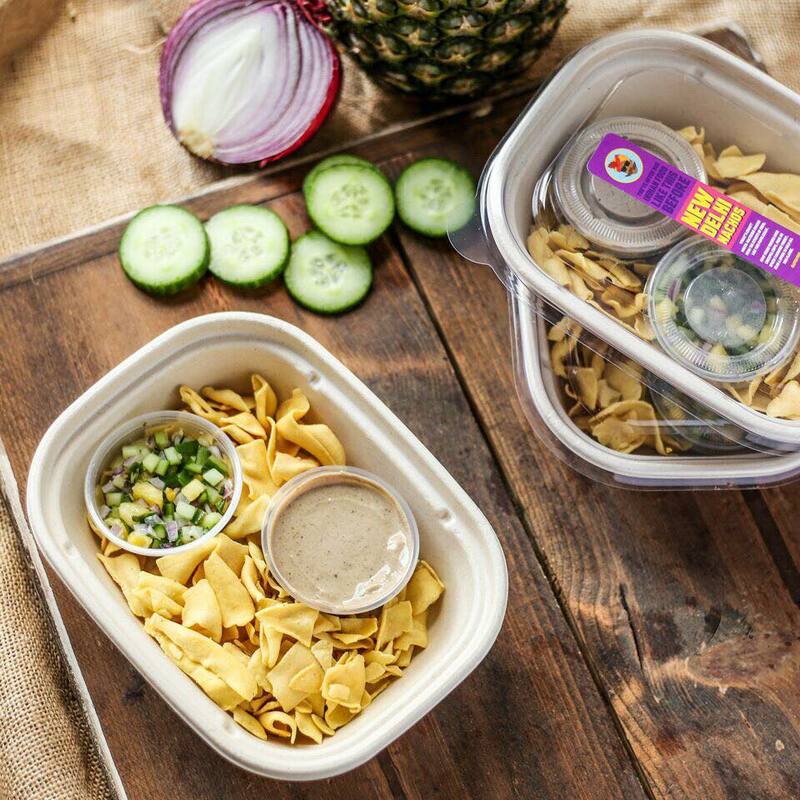 Think beyond cheese cubes in refrigerated snack packs. 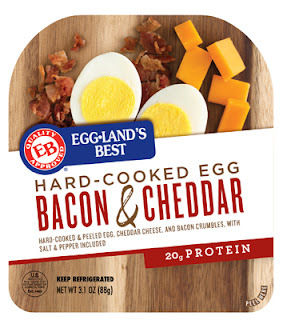 Why not cottage cheese, maybe in a blended dip or spread format with a side of whole grain crackers or jerky chips? How about spreadable cheese or protein-enriched yogurt or sour cream-based dip? Or dairy-filled, chocolate-covered snacking squares, with a side of almonds? Even ice cream can become compartmentalized with healthful inclusions such as nuts, seeds and whole grains for mixing in. With all of these innovations, protein should be a focal point, as protein satiates, thus curbing appetite until lunchtime rolls around. Protein is also associated with increasing strength, building muscle, enhancing recovery, slowing age-related muscle loss and more. Dairy proteins also contain all the essential and nonessential amino acids, thus they are a complete protein. While writing this on Thursday morning, I was enjoying my second breakfast of grape tomatoes, quinoa crackers and pimento cheddar cheese spread that I blended with whey protein. Fortunately for me, I work from home and was able to make this myself. A snack pack of something similar would be great for office folks. That’s what The Chaat Company now offers. 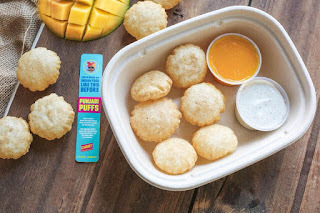 The company is reinventing itself with mini-meals that can function as a second breakfast, or as a heartier portable snack for other dayparts. About two years ago, the company rolled out Savory Yogurt Snack, a line of dome-style single-serve cups of whole milk probiotic savory yogurt with lentil puff topping. It was designed to resemble the “street food” of India, which is the translation of chaat. The product immediately got the attention of Whole Foods. And for about a year the company spent time sampling the product, but always in the yogurt department. This was just not working out, because as we all know, the dairy department is crowded, confusing and also geared towards breakfast or as a sweet snack. The company regrouped. After researching the retail landscape, they decided their chaat needed to be in the prepared foods/grab-and-go-aisle. “This is where consumers are exploring,” said Anshu Dua, co-founder, at the American Food Innovate Summit held in Chicago February 4-5, 2018. “They are less price sensitive and it’s an area where many retailers are investing. Grocers are already successful with ethnic offerings in this space, which is geared towards lunch, dinner and snacking. “Chaat fills our target (millennials and Gen Z) audience’s desire for flavor adventure,” he said. One of the products is New Delhi Nachos, which is known as Papri Chaat in the streets. This build-your-own snack box comes with crunchy chickpea chips you top with fresh chopped fruits and veggies and a spiced tamarind yogurt. There’s also Punjabi Puffs. Known as Dahi Puri in India, this mini-meal comes with puffed crackers you pop open and fill with garam masala spiced chickpeas, yogurt and chutneys. 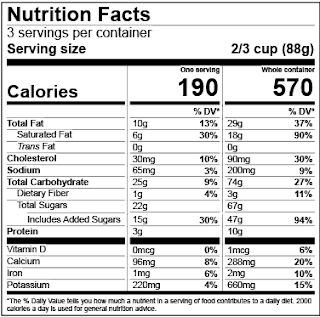 BREAKING NEWS…During my second breakfast, news broke regarding FDA’s planned delay for implementation of an updated Nutrition Facts. Compliance dates for manufacturers with $10 million or more in annual food sales are now being pushed from July 26, 2018, to Jan. 1, 2020, while compliance dates for manufacturers with less than $10 million in annual food sales will move from July 26, 2019, to Jan. 1, 2021. There are also changes to serving sizes. Manufacturers must label containers of food that can be consumed in one sitting as a “single-serving container” and include dual columns on certain foods that can be consumed in one or multiple sittings that list both “per serving” and “per package” calorie and nutrition information.